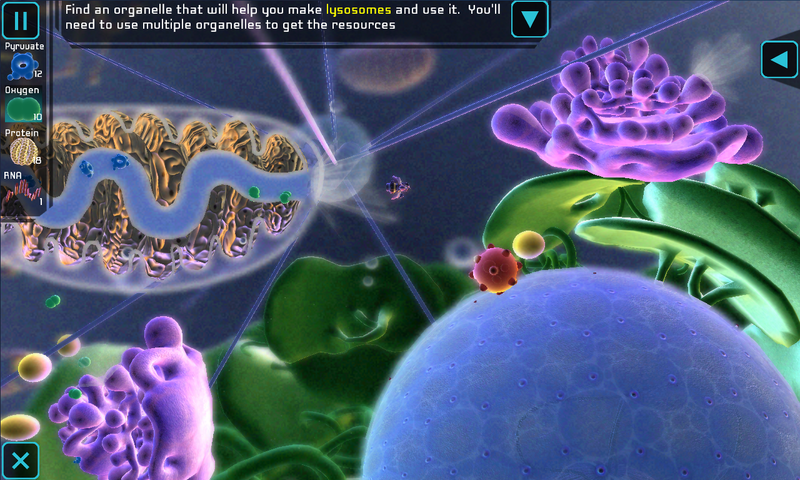 John Krajewski is the president of a new indie startup located in Seattle, Strange Loop Games, leading the development on Strange Loop’s current titles, among them a suite of Educational "Serious Games" for tablet on a variety of subjects such as biology and math. Strange Loop’s goal is to create games that use the massive power of today’s video-game hardware for gameplay, not just graphics. They aim to use deep, interactive simulations to create gameplay that wouldn’t be possible on hardware five or ten years ago. Their engine is custom built and specializes in physics and fluid simulation. Prior to founding Strange Loop, he was Lead AI Programmer at Electronic Arts Australia, designing and developing AI systems for open world games. His portfolio of games includes 'Lord of the Rings: Fellowship of the Ring', 'The Suffering', and 'Destroy All Humans'. SimCell is one of Strange Loop’s titles. 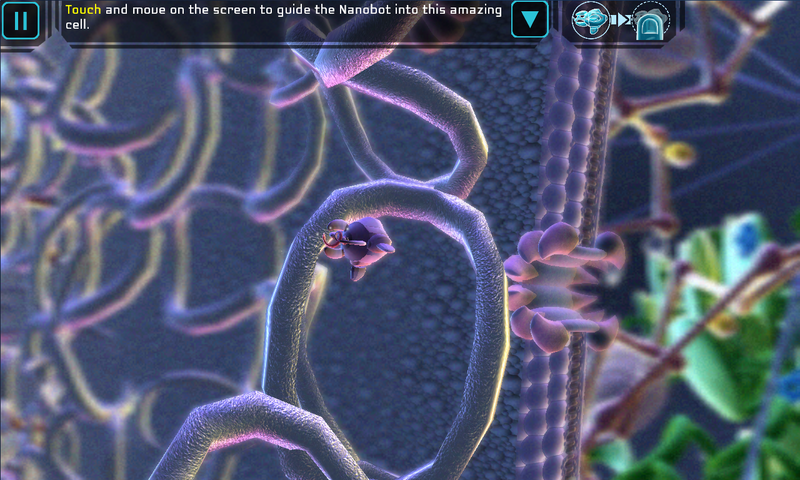 The game puts you in control of a nanobot, tasked with entering a human cell and repairing and protecting it from the inside, using the cell's own organelles. 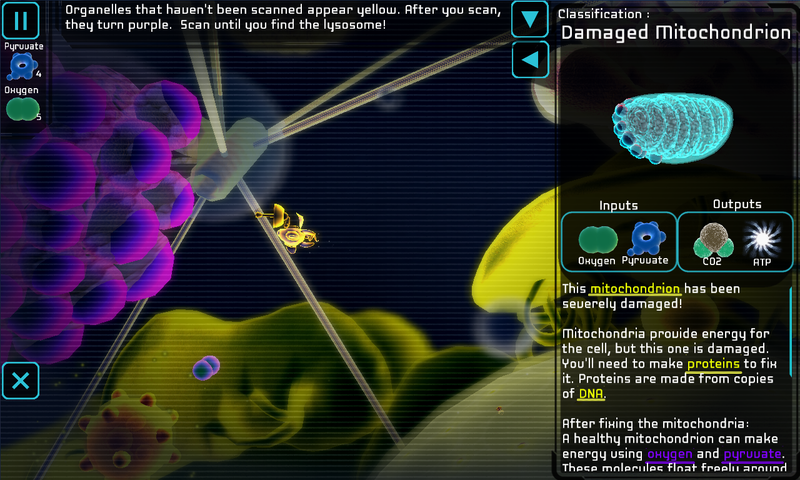 Within the game, players find systems built to reflect actual scientific information about the cell, and must investigate and understand it in order to complete their mission of saving the cell from a virus invasion. The first step in understanding the game is by scanning the surroundings. 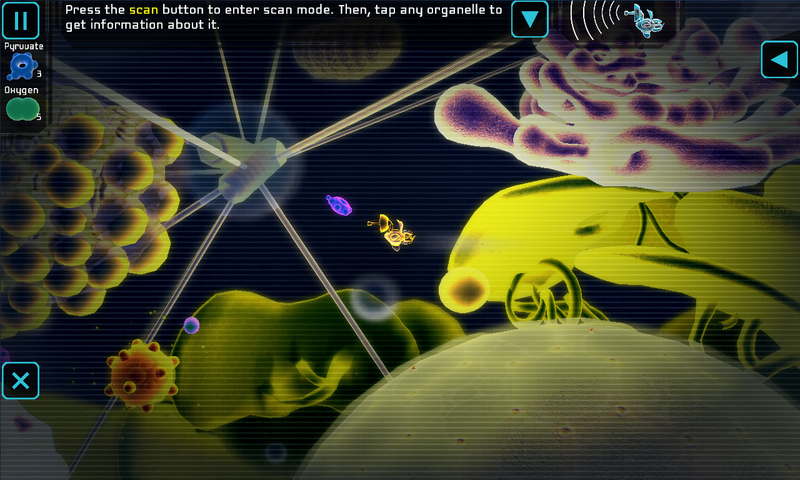 Every object large and small can be scanned in SimCell, and through this mechanic the player comes to understand both the mechanics of the game and the mechanics of cell biology (which in the game are the same). Scanning and following directions is critical to building players’ understanding, but it not enough to complete the game; they must make discoveries using this information, putting together the puzzle pieces to cause a desired effect. Scanned objects will explain how they work individually, but it is on the player to fit these explanations into a common framework among all the objects of the cell, connecting the dots and constructing for themselves the very processes that cells use to function. By bringing this multi-faceted approach to learning (allowing the player first to pull information and then requiring them to fuse the ideas in their head), SimCell creates a context where players are in control of their learning and the answers they find are answers that they themselves sought out.